Alexandra Peng Charton is a veteran of the industry, spending more than 20 years designing and producing eyewear for global brands. However, despite helping countless clients find the perfect eyewear to match their needs, there was one person she could never find the right frame for: herself. 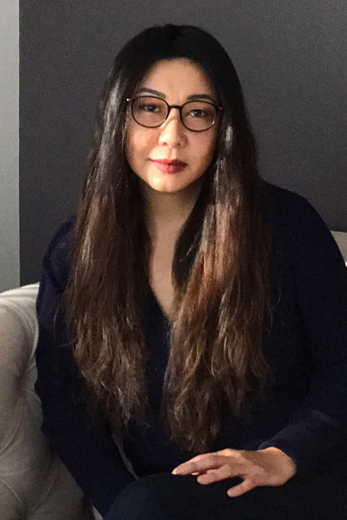 So, with her vast knowledge of the eyewear industry and firsthand experience with difficulty finding well-fitting glasses, she started TC CHARTON in 2009 - the first North American brand that focuses solely on making distinctive, beautiful eyewear for Asians. The brand was designed to accommodate higher cheekbones, lower nose bridges and other ethnic features that make conventional eyewear impossible or uncomfortable to wear. With over a hundred different frames to choose from, the wearer can have a great fit without having to compromise on style and luxury. Alexandra is constantly studying faces wherever she goes, always on the lookout for her latest muse. Each style is crafted to fit the features of people that she has met in her travels, and the finished product even shares the name of the person that inspired them. TC CHARTON was created foremost to fit Asian features, however the multitudinous styles available in the collection appeal to people of many other ethnic backgrounds, and they are finding that TC CHARTON eyewear fits them fabulously.